As if the music business wasn't difficult enough already, Amazon has evidently added an additional hurdle. 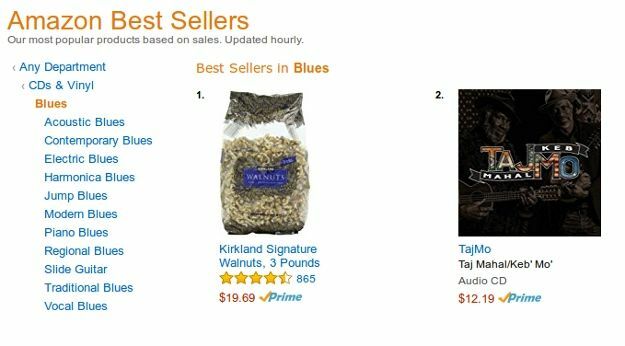 For weeks now, the top seller in their Blues Albums category has been a 3lb bag of walnuts. Outselling a bag of nuts has proven especially difficult, as the new album from Taj Mahal and Keb' Mo' had been stuck at No. 2 in the category for several weeks. Keb' has taken the obvious Amazon glitch in stride and good humor. Yesterday, I told him that I might have to rethink my support of the album if it couldn't knock off the nuts. "Well, then, we gotta go ahead and out sell the nuts," he replied. After his management team reached out to Amazon late yesterday, the nuts dropped out of the rankings for top selling albums as Amazon remedied the issue. As of this morning, "TajMo" has officially moved into the top selling spot in the category. In late May, the duo hit the road for an extended tour. Two stops are on the schedule in the PacNW: On June 18 the two appear in Seattle and in Sun River June 20. For more about the album, check out my preview from last month. 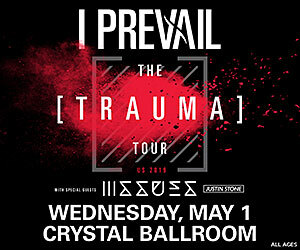 Ticket information can be found on the TajMo website.